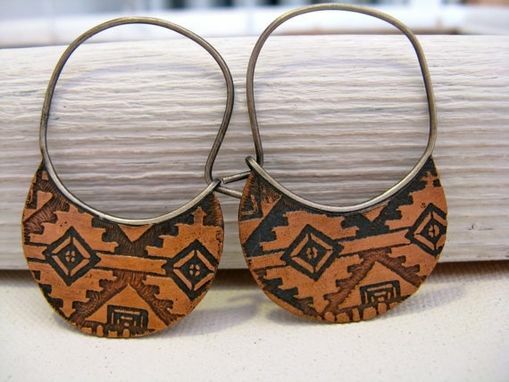 I am OBSESSED with the southwestern trend that is so big this year and these earrings prove it! 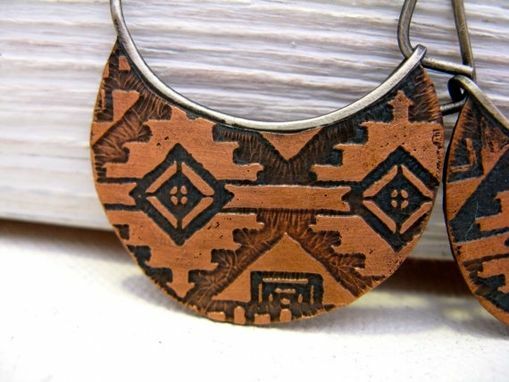 A great southwest patter has been etched into the beautiful, warm copper disks. 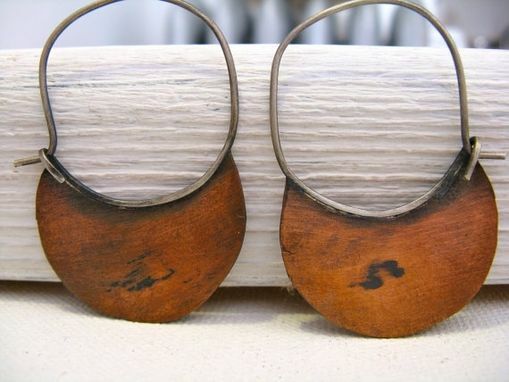 The ear wire is sterling silver and the pieces has been oxidized for a truly rustic feel. I then seal the earrings to make sure the color stays true.